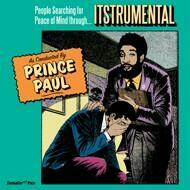 - Download Card of phenomenal Unreleased Prince Paul project "Redux"
For the first time Prince Paul's cult-classic 2005 album Itstrumental is seeing a proper commercial reissue on the original imprint of release Female Fun Records. This also marks Female Fun's first release in over a decade. (Original street-date May 10th, 2005).